This is Tiny Tim, for an assignment that we had for an awesome character design workshop with Shane and Sannon. I painted it in photoshop to try something new, but I still like painting better. 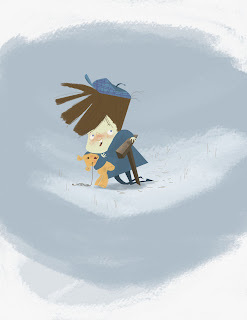 And also here's a few versions of tiny Tim. Lorelay its awsome. I am so glad so many people did the assignment! And I don't remember you telling us that you did this in photoshop, but I tottaly thought you had just color copied an actual painting. Crazy. You should post a page of your exploritory drawings too. Those are awsome!! Your Tiny Tims are like really tasty nuggets that I want to dipp in tangy mustard. that's so great!! !congratulations!love your work and your last short! i wanted to know how much cost 1 year in calarts including campus(all in fact...)? Really fun designs! These are Great! 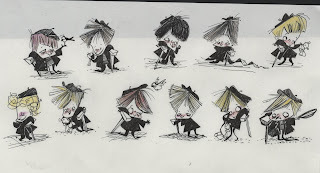 found your site through 'blackwing diaries' post, cool character design! These designs are so appealing, great stuff! your stuff is unbelivably cool! The bottom page of studies is splendid- such a cute Tiny Tim.